Today is the 455th anniversary of Queen Elizabeth I’s coronation! How time flies! Seems like only yesterday that she was a terrified young woman who was imprisoned in the Tower and stripped of her titles and legitimacy every other year! Celebrate the occasion by checking out some of the lesser-known films featuring the Great Gloriana below. This TV mini-series is not half bad. Anne Marie Duff acquits herself ably in the role of Elizabeth, spanning the entirety of her reign. Costumes are mostly recycled from other films, so you can play “Who Wore It Best?” Not my favorite portrayal of Leicester, but then again, they were going for “modern hunk” and not necessarily someone who could really inhabit Dudley’s psyche. Ok, so technically this film is about Mary, Queen of Scots. 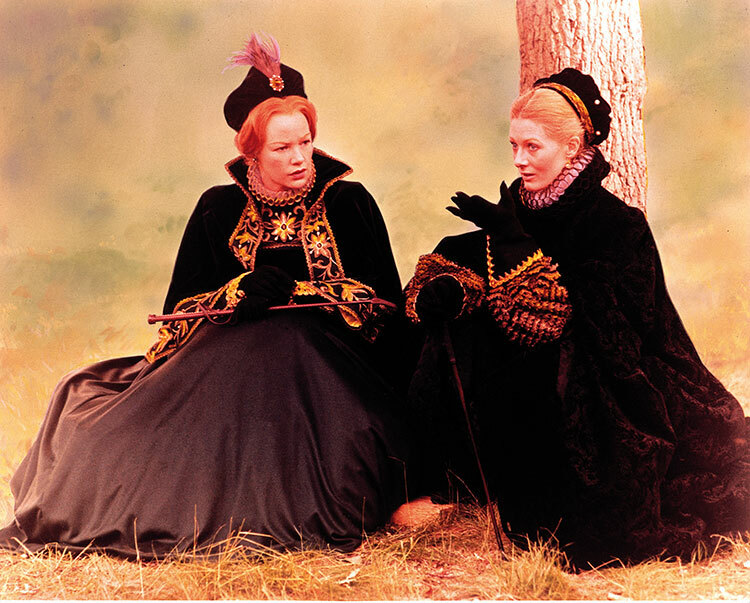 But it is notable for the fact that Glenda Jackson reprises her role as Elizabeth I, opposite Vanessa Redgrave as the doomed Scottish queen, in a movie that explores a theoretical relationship between the queenly cousins that went beyond simply exchanging letters over the years. It’s always worth it to watch Jackson own the role that made her near and dear to all of us Elizabethan history nerds, but Redgrave is also fantastic (as if anyone doubted that). 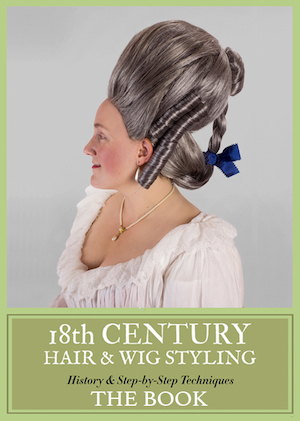 Once upon a time, The Private Lives of Elizabeth & Essex was the Elizabeth of its age. 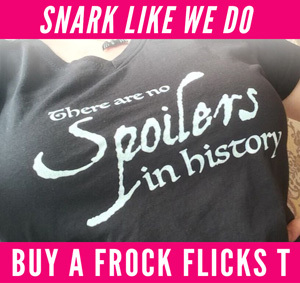 Starring a young Bette Davis as an old Elizabeth, you will be treated to eye-bleeding Technicolor fabulousness and bizarre costuming. Fifteen years later, Davis returned to the role in The Virgin Queen, which still features a full compliment of bizarre costumes and scene-chewing for the full experience of mid-20th century costume drama action! 1950s Tudor costuming can be summed up in two words: Princess seams. Young Bess features costumes by Walter Plunkett, so stay tuned for a more in-depth post later about the sheer level of WTFrock going on with Stewart Granger’s outfits. It is the story of Elizabeth’s years under the care of her step-mother Catherine Parr, and Parr’s dashing and troublesome husband, Thomas Seymour. Deborah Kerr plays a lovely Parr, and Jean Simmons is beautiful, but definitely does not look like a 13 year old. Fire Over England helped launch Vivien Leigh’s rise to stardom, starring opposite her off-screen paramour Laurence Olivier. Costumes are about as historically accurate as you’d expect for the golden age of Hollywood (which is to say, questionable at best), but they are still pretty damn fabulous. 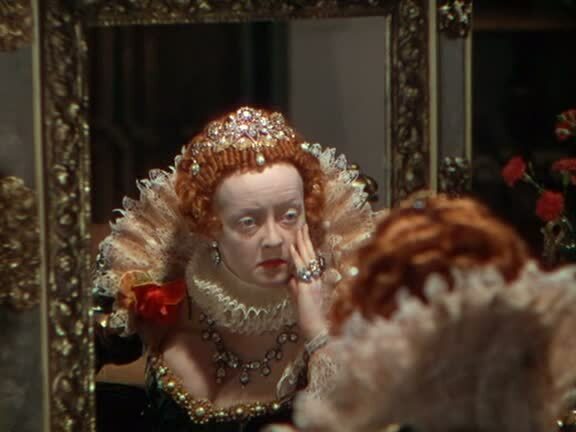 Flora Robson dominates as QEI, and I’m personally convinced Glenda Jackson took notes from this film for her own portrayal of Elizabeth in Elizabeth R, 35 years later. 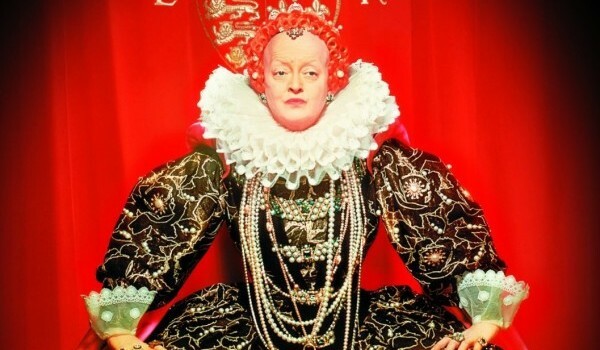 Have we missed any of your favorite lesser-known Queen Elizabeth I films? Tell us about it in the comments! Yes! The Virgin Queen! I used to stay up past my bedtime to sneakily watch it, and it started my love of costuming. Nice to see it getting appreciated. …i’m really really young, wow. Crossed Swords (1977). Not so much for the story itself, but for the costumes! And Lalla Ward as a young Princess Elizabeth is easily the best part of the film…what little screen time she has. I didn’t really like “Fire Over England”. 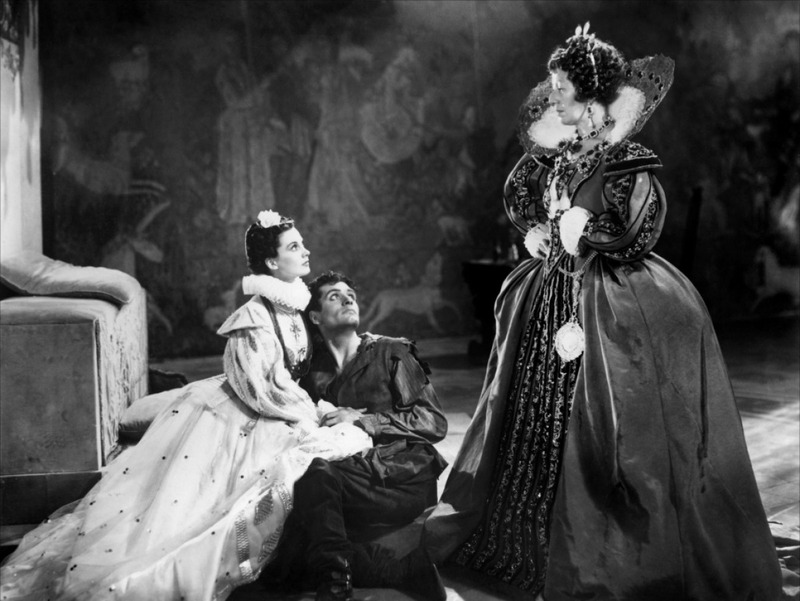 But I did like Flora Robson as Elizabeth I. 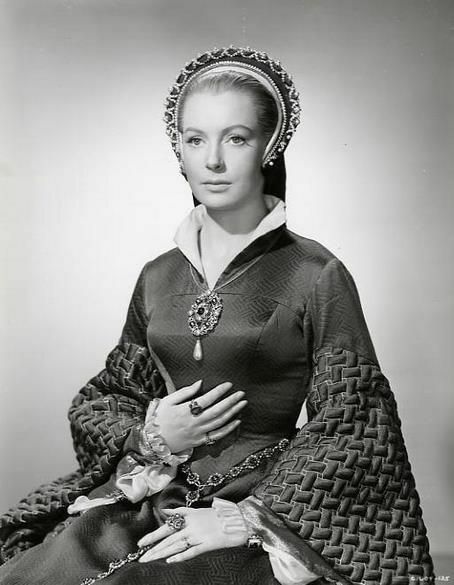 However, I really enjoyed her portrayal of the Queen in “The Sea Hawk”.